Please talk about NanoWater, the reasons behind it, and the goals and timeframe. Why water, as opposed to food or shelter, or other basic needs? NanoWater is a very simple idea that grew out of a meeting with Former Israeli Prime Minister Shimon Peres at the World NanoEconomic Congress in Washington DC last year. He made the only speech I have ever seen that got a standing ovation at a nanotech conference, with the simple message that perhaps technology could do something positive. We followed this up with a visit to Israel just before Christmas last year to understand at first-hand the problems facing countries with scarce water resources. I agree that food and shelter are important global issues, as are energy and disease. Although water issues affect most of the world’s population, I wouldn’t claim that water is any more important or urgent than any of the other issues. However, there are two compelling reasons for the nanowater initiative. Firstly, lack of clean, affordable water is not a problem confined to the developing world. Southern Europe, Israel, the Western United States, the Middle East and areas of South-East Asia such as Singapore all suffer from increasing pressure on scarce water resources. While any number of programs are looking at ameliorating the situation in the developing world, the real solutions to addressing water issues will come from the countries above. These are all rich countries whose economies and future prosperity could be damaged by lack of access to water. If there is a solution to be found, it will be driven by economics, not charity. Secondly, water remediation is already available in the form of filters, desalination technologies, and water recovery systems. The reason we have a water problem is because these technologies are not yet cheap enough, either in terms of efficiency, maintenance, or the energy required to operate them. Nanotechnology is already being applied across a wide range of areas that can be either be used directly, or adapted for use in the water industry. In addition, almost every application of nanotechnology in industry is being driven by the economics of the bottom line. So the question becomes, can we use nanotechnology to make water remediation more efficient, and ultimately more economically viable? Preliminary results indicate that we can. Why now? Who is behind it? Who is participating? Well here’s an odd thing. Everyone agrees that the application of nanotechnology to water is a good thing, but no one has any money to fund a project, so many of the projects that have been discussed over the past year are still sitting on the launch pad. One of the reasons for this is that governments and companies around the world have not yet made the connection between nanotechnology and water, and as such there are no funds being made available specifically for this area. NanoWater is an initiative designed to bring together the nanotechnology community with the water industry, to find common ground. This is something that the European NanoBusiness Association did with the Textiles industry at EuroNanoTex, and a number of fruitful collaborations have already emerged. We are not demanding government handouts before we start to do anything; we are starting by determining whether the water industry can benefit from nanotechnology. As with any other technology, if there is a Dollar, a Euro or a Yen to made, then we’ll see widespread adoption. By bringing nanotechnology to Europe’s largest water industry trade show, we hope to find out where the economic sweet spot is. If we can drive down the cost of water treatment or desalination by a just few percent, the effects will be widespread and global. We are very close to the tipping point, and NanoWater is designed to give the industry the nudge it needs. How does our understanding of nanoscale phenomena relate to more and cleaner drinking water? Nanofiltration technologies are well-established, and in recent years have seen a large number of developments offering improved systems. Improvements in filtration technologies, especially with regard to increasing throughput, improving selectivity and reducing clogging, could have a major impact on the economics of existing filtration applications for both liquids and gases, and create new capabilities with enormous value for major industries such as the pharmaceutical sector, or even the power generation industry (sequestration of CO2, for example). The fundamental capabilities being developed along the way are applicable to a wide variety of industries. Examples of this are capabilities in self-assembly and hierarchical self-assembly, which offer potential for novel and cheap manufacturer of a wide variety of materials, or improvements in electrospinning of fibbers, which can be applied in areas ranging from textiles to biomaterials. Thus, though filtration itself may seem rather prosaic, the spin-offs from the capabilities developed can be expected to be very broad. Meanwhile, contamination of groundwater from both industrial and natural sources is a huge and growing problem around the world. Arsenic contamination, for example, has recently been shown by Australian researchers to be much more widespread than previously thought, with people at serious risk in 17 countries around the world. This situation is not helped by the standard kit for testing arsenic, which is proving less than reliable at the concentration levels where health starts to be at risk (cheaper and more sensitive detection is another area where nanotechnology will have significant impact). Recent years have seen great advances in macromolecular chemistry and active surfaces with applicability to decontamination; switchable chemical specificity is the key here. The physical substrates used for such developments can vary from plain surfaces (often nanostructured) to nanoporous materials (as described in the previous section) to nanoparticles. Similar physical configurations are also benefiting catalysis, and this area has also seen great improvements from the use of nanoparticles. The increase in surface area is the obvious improvement here, but there is more to it than that - some groups (e.g. Hydrocarbon Technologies Inc.) have development particles that always present the same crystalline face to the reactants, which can improve yield considerably, and some materials have been found to become catalytic as nanoparticles when they weren't previously. This applies especially to photocatalysts, a vibrant and promising area of R&D. The value of detection technology for water purification is clear - knowing what the contaminants are. Special value can be seen in defense against biowarfare through contamination of water supplies. The key factors are price and sensitivity, both of which are going to be improved considerably by nanotechnology. Is anyone using nanotechnology in water remediation and filtration now? Is it cost-effective? Is it scalable? We are just seeing the first products emerging from companies such as Inframat, Argonide and Fluxxion . Much of filtration tends to be a materials issue – how do we produce materials that can remove contaminants, how do we keep them from clogging, and how can we control the pore size? Nanotechnology is enabling us to do just that. On the detection front, NanoSight in the UK has a system that can detect waterborne nanoparticles and viruses in real time. While these companies are the vanguard of water related nanotechnology applications, this is just the tip of the iceberg. The billions of dollars of government funding that has been going into academic establishments around the world is on the verge of releasing a flood of new technologies, some of which will find applications in the water industry. As for whether these technologies are scalable, we’ll soon find out. In studying and perfecting methods for water remediation and filtration, what spin-offs are possible? What's in it for big business? As we have discussed, if there is a buck to be made, business will be interested. Another way to look at this question is to ask what spin-offs are there for companies developing nanotechnology for other applications? Our research indicates that there are a wide variety of nanotechnologies being developed, very few of them specifically for water, which will find applications in the water industry. What do you expect to come out of the NanoWater 2004 conference? It is a start. We don’t expect to see safe, affordable water across the globe in the timescales that some nanotech pundits have claimed we will see a for a cure for cancer. We have to be realistic. By bringing the water industry into contact with the nanotechnology community, in the presence of policy and decision-makers, we can define where the technologies intersect. After that, it is up to industry and governments to fund the research and deploy the technologies. Let's take this one step at a time. The bottom line should be to use (nano)technology to achieve something positive. If there is money to be made at the same time, then we have a better chance of success. Tim Harper is the founder & President of CMP Cientifica, and the Co Author of the Nanotechnology Opportunity Report™, described by NASA as "the defining report in the field of nanotechnology." In October 2002 Time Magazine described Tim as "the face of European nanotechnology" and profiled him in TIME Magazine's Digital Europe Top 25, as one of Europe's top 25 entrepreneurs. This was followed in November by recognition in Small Times Magazine who described Tim as "Europe’s pre-eminent nanotech spokesman outside of government." 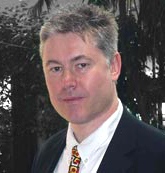 Tim is also the Founder and Executive Director of European NanoBusiness Association and is an advisor to many organisations around the globe including the International Engineering Consortium. He also contributes a weekly column to the Institute of Physics Nanotechweb site. NanoWater is a new initiative from Cientifica to see if nanotechnology really can change the world. NanoWater was created to focus the attention of the nanotechnology community on the potential of technology to change the world for good. Can nanotechnology address one of the most pressing issues of the 21st Century? By bringing, science, business and government together on one issue, we hope to find tiny solutions to global problems.